Village Vanguard is known as a “playable book store” and is very popular for its unique ideas. The store has an online store where they sell unique small items. Go to Village Vanguard if you want to buy fun products or souvenirs! Below are some recommended products of Village Vanguard Online. 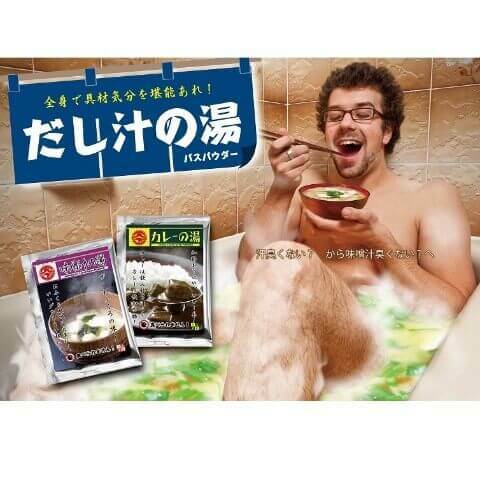 The popular products of the “Dashijiru Bath Powder” series will be sold again! The products include oden, ramen, miso soup, chige pot, gyudon (beef donburi) and curry. It is product which makes you feel like you are one of the ingredients in the dishes. 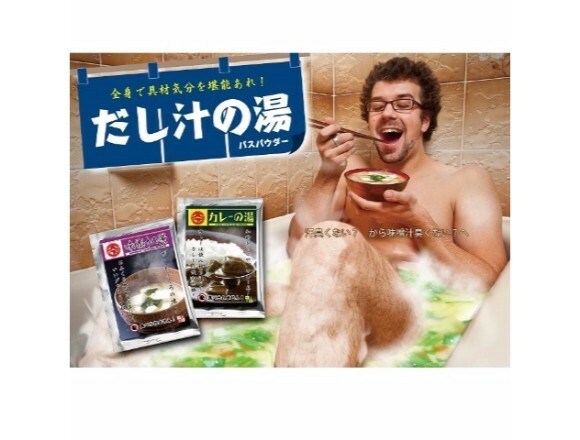 I am sure that you will have a wonderful bath time using this bath powder. This product was produced by the creator “ecru.” An illustration of a sakura (cherry blossom) flower rises when soy sauce is poured into the kozara (small dish). They also sell various kinds of dipping dishes with different illustrations such as a cat, a heart and a star. The price of each dish is 1,080 yen (tax included). Be sure to check out “Sakura Shoyu Kozara” which will be a perfect souvenir or gift. These pieces of clothing were produced by CAMPFIRE and they are items that can only be bought at Village Vanguard Online which re-creates the illustration depicted by the popular illustrator, Shun Akagi. “I depicted this illustration because I wanted to mix the taste of Western style clothes and Japanese style clothes.” says Haru Akagi. These days there are not so many opportunities to wear Japanese clothes. 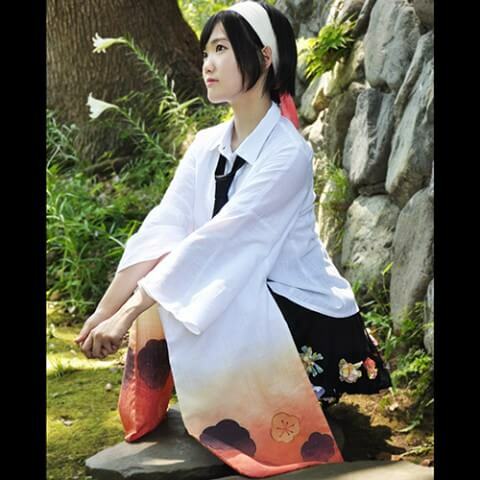 But I hope everybody will enjoy wearing Japanese clothes with a casual feeling in the future. At first glance, it looks like an ordinary T-shirt pocket. But what do you think could be inside it? If you were to open it up and take a quick peek, what would you expect to see? You guessed it, an idol. 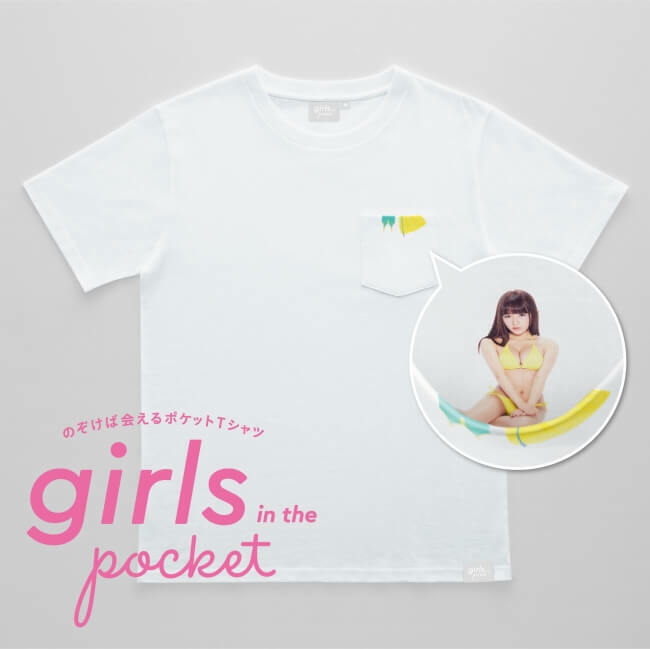 This new T-shirt is part of a new T-shirt line fittingly dubbed “Girls In the Pocket.” “Girls In the Pocket” was made by the capsule toy brand “Panda no Ana” and Vintage Vanguard’s collaborative brand “VILLEPAN.” Can’t wait to see who is inside the pocket!